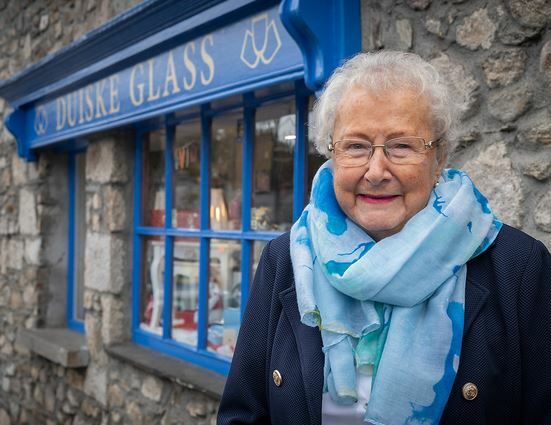 Established in 1974 by Harry and Maureen O’Shea of Graignamanagh, Co. Kilkenny; Duiske Glass is a handcut glass and handcut crystal brand that enjoys significant success in Ireland and globally. The brand is particularly well known for its grapevine cut which is still handcut here at Duiske Glass in High Street Graignamanagh. Inspired by vintage glassware, widely displayed in Irish Manor Houses post World War II, the cut (designed by Harry O’Shea) has become highly fashionable. To this day, the Duiske Glass store is located in its original home at High Street, Graignamanagh, Co. Kilkenny. This store is currently the only stockist of Duiske Glass (including the grapevine cut glassware) in the world. 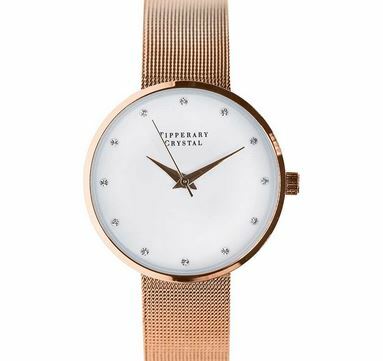 Boasting a traditional, stone facade; the store now also stocks a wide range of leading brands including; Tipperary Crystal, Newbridge Silverware, Paul Maloney Pottery, Shannonbridge Pottery, Belleek Living, Tinnakeenly leathers and Absolute Jewellery. Duiske Glass currently offers a bespoke engraving service; whereby any corporate, or club logo- together with text- can be engraved on any piece of crystal or glass.